It’s unfortunate but true…children can be cruel. With all the new technologies and social media, bullying has taken on a whole new meaning. This 2 hour one-time course is designed to give the tools necessary to learn to adapt, adjust, improvise, and overcome these daily challenges. Kids will learn not to give value to the words of the bully and to develop higher standards for themselves. This is an interactive class that is both informative and physical. Warning: If you do choose to say this to your child, please confirm with them this is a drill and is not meant to be real or harmful. How does this make you and/or your child feel? What emotions were sparked? How does this make you and/or your child feel now? What emotions were sparked? Now back to the sample drill. Both statements mean the same, one is Spanish and one is English. If you do not speak Spanish, most likely you felt nothing when you read the Spanish statement out loud; however, what did you feel when you read it in English? This drill is meant to demonstrate that words are only damaging if we allow them to be, if we give them value and meaning… otherwise it is just noise! 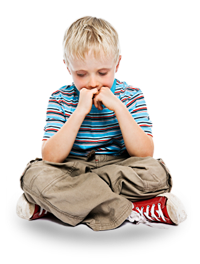 Through this course, your child will learn to develop the awareness as well as the tools necessary to disable the bully. These programs are available to the general public and your child does not have to join the school to participate. There is a minimum of 5 children per session and the fee is $35.00 each. The program is 2 hours long and available on the weekends. Please contact the office for available dates and instructors.